Devices that are used in any environment in the environment require regular inspection and maintenance. Proper maintenance of the device will allow minor failures to be quickly remedied and if the machine requires lubrication, this should be done in a timely manner to prevent overall damage and high costs. Operating the device in addition to reducing the performance of the device over time, extending the life of the machine and preventing significant downtime and costs. Industrial water turbines also require care and maintenance, so that different parts of it will not get burned out. In the pressure washer, parts such as washers, valves and rings must be replaced in a timely fashion, so that the performance of the machine is not reduced. However, part of the damage to the devices results from inappropriate use by the user. Incorrect use can cost a lot of damage to the device. Some of the most important points to avoid car wrecks are listed below. If the water jet is left unattended, the pump will be damaged in a matter of minutes. Because in the absence of water, the friction of the gaskets increases, as a result of the temperature of the cylinders and the inside of the pump will increase rapidly and cause serious damage to the pump. So the user should be careful when working with a pressure washer. 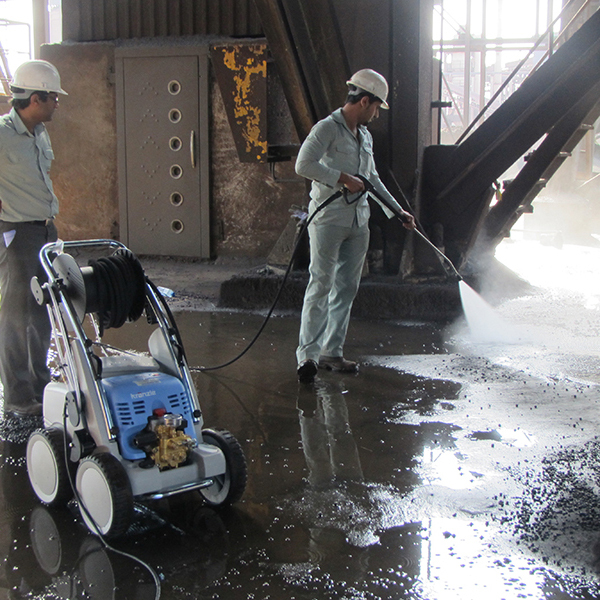 While the pressure washer are more resistant than other pressure washers, they have a higher resistance. It is best to keep the water jet in a place with a normal temperature and above zero, so that it does not freeze, as the freezing of water causes damage to its pump. If the water storage area reaches below zero and can not be moved, an antifreeze fluid should be used inside the pump to prevent it, and the water pump should be completely removed after each use. Some pressure washer have a bypass mode. In the bypass mode, the device is on and off and the water is in the pump, but it is not powered by a gun. If the device stays in this situation for more than a few minutes, the temperature of the water in the cylinder head increases and it immediately causes damage to the pump. The design of the cranked devices is such that it eliminates the problem by using protective systems to the extent possible. The lubrication of the pump and planers must be done in a timely manner to prevent overheating of the pump. During operation, the pump has a lot of heat due to its high friction, and the oil eliminates friction and prevents the temperature from rising. If the oil leaks or water enters, the temperature of the components of the pump will go up and it may break.